Commercial & Domestic Window Cleaning company Glasgow. The most reliable window cleaning company in Glasgow ? 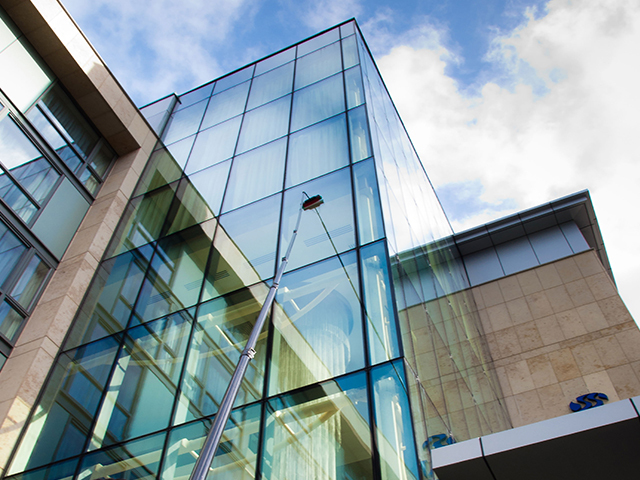 Why choose Glasgow Window Cleaning ? Alpha Window cleaning company Glasgow provides all commercial and domestic window cleaning services. To comply fully with new heath and safety regulation the majority of our commercial window cleaning is carried out using a water fed pole system. window cleaners Glasgow is proud to use the new Purewater system. We offer professional cleaning services to all retail location in Glasgow and all surrounding towns and villages. Regular external glass cleaning is essential to keep your shopfront looking great. Dirty Glass discourage customers from viewing your shop displays. 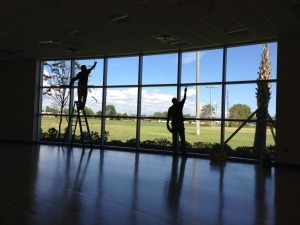 Regular window cleaning is essential to maximise natural light transmission into workspaces and communal areas. This cuts down on lighting expenditure and reduces fatigue and work related stress from working under artificial lighting. 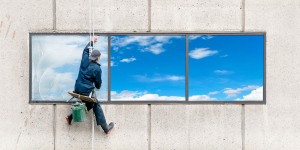 office window cleaning Glasgow from professional Glasgow window cleaning companies is essential. 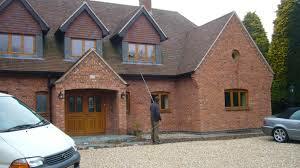 Choose the best window cleaners for the job. We can provide weekly, fortnightly or monthly office cleaning in Glasgow, maintenance cleans, Deep cleans internal office commercial window cleaning service is also available. Glasgow window cleaners provide hotel window cleaning services to hotels, BnB’s and guest houses across Glasgow. Presentation is everything when selling expensive luxury items like cars. Alpha window cleaning glasgow can keep car showroom windows crystal clean with our commercial window cleaning service. Our window cleaning clients include Glasgow Council. We clean the windows for colleges in Glasgow using our water fed pole technique. When we seek new service suppliers, we look for 3 key quality indicators. Reliability, Responsibility and Dependability. With Glasgow Window Cleaners we knew we were satisfying all three demands. Our service provision has been flawless from the initial quote stage through to completion. We now retain Glasgow Window Cleaners as our professional external cleaning operator. Our professional window cleaning teams cover the Glasgow area on a daily basis, 7 days a week, 52 weeks of the year. We only stop on Christmas day and new years day. Thats why our commercial cleaning clients choose Alpha window cleaning Glasgow, every time. We guarantee a streak free finish or we clean again free of charge. Our water fed pole window cleaning system is great for removing even the most stubborn dirt from your windows and frames. Water fed pole also means no more ladders on your premises, This is a condition of the new working at height regulations which makes it illegal to perform a task in the workplace using a ladder where a safer alternative can be used. Water fed pole cleaning is the safest system possible. For commercial Carpet cleaning in Glasgow try our partners at Scotclean Solutions ..